Queen’s biopic, “Bohemian Rhapsody”, has been nominated for a pair of 2019 Golden Globe Awards. 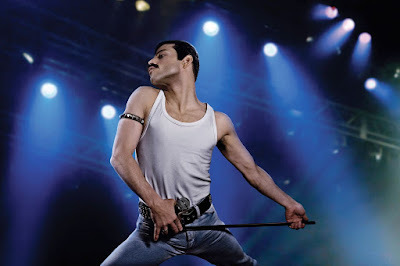 In the lead role of Freddie Mercury, Rami Malek made the shortlist for “Best Performance By An Actor In A Motion Picture – Drama”, where he will compete against Bradley Cooper (“A Star Is Born”), Willem Dafoe (“At Eternity’s Gate”), Lucas Hedges (“Boy Erased”) and John David Washington (“BlackKKKlansman”). The nominations for the 76th Golden Globe Awards were announced Thursday live from the Beverly Hilton Hotel by Hollywood Foreign Press Association President Meher Tatna. Hosted by Sandra Oh and Andy Samberg, the 2019 ceremony will take place at the Beverly Hilton on January 6. In sync with the film’s worldwide success at the box office, Queen have announced dates for a summer 2019 Rhapsody tour of North America with Adam Lambert. General public tickets for the tour go on sale starting Friday, December 7 at 10 a.m. local time via the usual outlets.